CDC: Binge Drinking Is Risky And Widespread : Shots - Health News About 1 in 6 Americans, or 38 million people, went on at least one drinking binge last year, according to the latest figures from the Centers for Disease Control and Prevention. Binge drinking in America looks to be an even bigger problem than we thought. About 1 in 6 Americans, or 17 percent of the population, went on at least one drinking binge in a month last year, according to the latest figures from the Centers for Disease Control and Prevention. That works out to 38 million people. 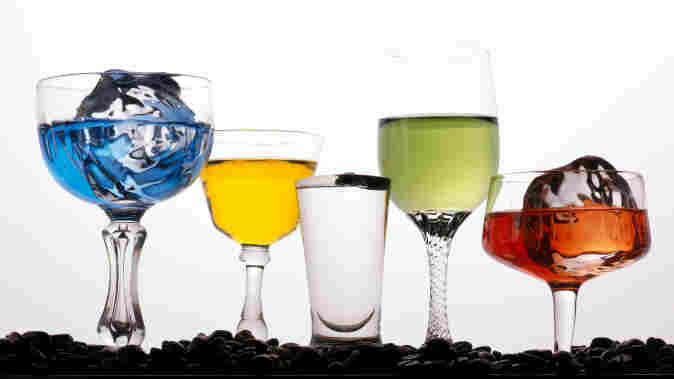 The same nationwide survey conducted in 2009 found that about 15 percent of Americans had indulged in a drinking binge. How many drinks make a binge? For a woman, it's four or more at a sitting. For men, it's five and up. Now, how come there's an apparent 2-percentage-point jump in binge drinking in one year? The CDC says a big factor is that the survey methods were tweaked to add more cellphone users to the mix. They tend to be younger. But however you ask the questions, it's clear a lot of people are drinking excessively — and quite often. "What we're talking about is a risky behavior that is quite widespread in the population," Dr. Robert Brewer, head of the CDC's alcohol program said in a media briefing Tuesday. In the analysis, the CDC looked at how often people binge and how many drinks they consume when they do. For those who binge, the average number of binges a month is more than four. And during those sessions, the bingers consume nearly eight drinks. Men binge more often than women. And the guys drink more during each session. Beer is the most likely beverage to be involved in binges, Brewer said, citing previous research. The prevalence of binge drinking was highest among young people, 18 to 34, at 28 percent. And they drink the most, too: about nine drinks per session. Nine! But, in a bit of surprise, the most frequent bingers were the oldest. Among binge drinkers who were 65 and up, the average number of binges per month is 5.5. As was the case in the last survey, the well-heeled had the highest rate of binge drinking at 20 percent. As bad as these numbers may look, the reality is worse. "We know this is a substantial underestimate," the CDC's Brewer says, because it relies on people's reports of their own drinking behavior. Another recent study that looked at alcohol showed that approach misses a lot of alcohol consumption.